This stunning family home is positioned in a peaceful & private setting perfect for those looking to secure a tranquil & relaxing lifestyle. Boasting an ideal open-style floorplan, each room flows seamlessly into one another, beginning with the beautiful hardwood timber floors flowing throughout the home. The generous first living area features a built-in fire place & attracts an abundance of natural light spilling in through stunning windows framing the front of the home. This space is also generous in size & allows the perfect zone for the family to unwind of an evening. Dotted down the hall you will find all guest accommodation including three kids’ bedrooms, plus the master which is substantial in size & overlooks the front gardens. It provides a well-sized walk in wardrobe, along with a renovated ensuite. The kitchen is placed strategically in the middle of the home & acts as the heart of the property. Featuring quality stainless steel appliances, plenty of cabinetry and bench space, this area of the property functions beautifully whilst overlooking the rear garden & pool area. 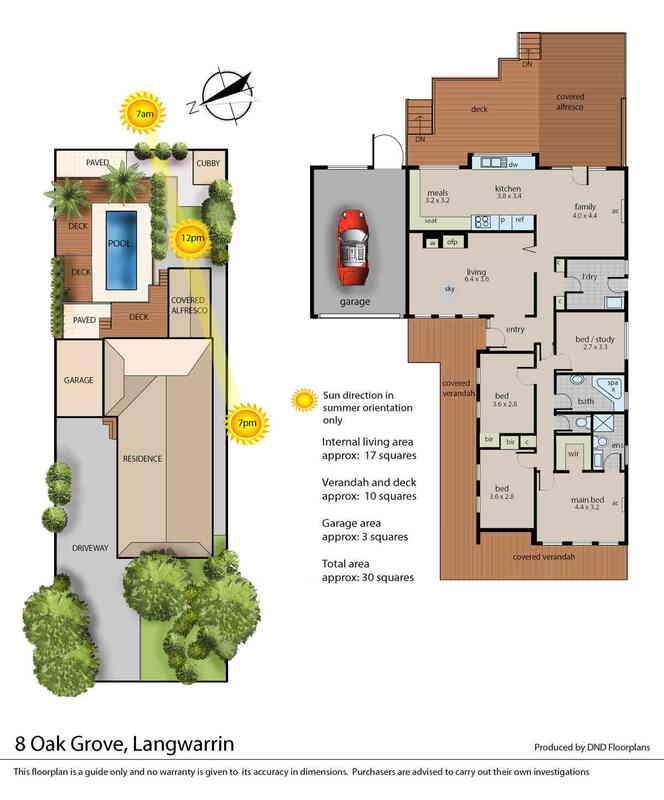 The roomy second living is situated as the gateway between the kitchen and the backyard perfect for entertaining. Stepping outside onto the decked outdoor entertainment area, you start to imagine all the future entertainment options that can be possible, with this zone being sheltered this is easily achievable all year round. Stepping down to the rear yard you will have the opportunity to work on the tan whilst entertaining family & friends in your very own swimming pool. Establish yourself into the much-desired pocket of leafy Langwarrin and indulge in all of the amenities Langwarrin has on offer. Such as the Peninsula Link, Peninsula Private hospital, an array of schools both high school and primary education and of course the ever popular Karingal Hub with cinema & over 120 specialty shops.